The Felss company group is today one of the market leaders in the segment of cold forming for the automotive industry. 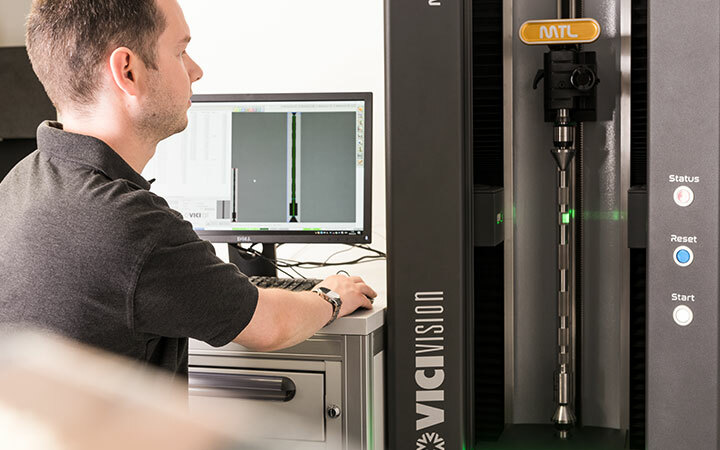 At our four locations in Germany, we combine years of experience with a culture of innovation, with which we develop optimal solutions and processes for our customers. Here at Felss, the development of young talent is an important element of our corporate culture. We promote autonomy and practical learning in an activity-oriented training program. In addition to weekly feedback meetings, many shared social and athletic activities also characterize working at Felss. We offer you an interesting training spot in a cooperative and motivated team. Our learning mentors help you prepare for your professional future and the many career possibilities at Felss. During your training at Felss, we offer you a special learning program in which you can expand your talents and abilities! We encourage independent and responsible action and thinking from the first day of training. You will gain hands-on practice right away and learn skills you will be able to apply on the job. This will start on your first day, during which you will meet all of your colleagues, and will continue through team training, theoretical training, and specialized practical training – where you will be supported by specialist learning companions trained by the German chamber of industry and commerce (IHK). During your stimulating training as a machine and systems operator at Felss, you will learn to operate, set up, and retool our machines and systems with modern control systems. You will also be decisively involved in the maintenance process for machines and systems. When mechanically setting up the machine programs, you are responsible for defining the individual parameters in such a way that the products are produced as planned. At the same time, you will also learn to attentively observe the running of the machine in order to recognize and be able to correct malfunctions early on. With us, as an industrial mechanic, you will learn to install and uninstall complete modules for machines and production systems. The upkeep and maintenance of machines and systems is also an important aspect of your area of responsibility. In this way, you will also learn to analyze and ultimately correct errors causing malfunctions. In the Felss company group, you have the possibility to be deployed worldwide, to provide support with installation at the customer, and to prepare the handover to the customer. As a cutting machine operator, you set up the lathing, milling, and grinding machines and monitor them. Your task here lies in the true-to-measure workpieces for machines and systems. The cutting machine operator learns to read technical drawings correctly in order to enter the correct production parameters into the tool machines, to call up programs from the machine memory, and to write CNC programs. By way of the worker self-test, it will be possible for you to independently inspect the components produced for quality. You will acquire in-depth insight into the planning and monitoring of the production process and support us in matters of quality testing and assurance. You independently inspect the components you produce for quality. In the training program for technical product designers at Felss, you will experience firsthand how CAD systems can be used to design individual product parts or entire modules in a functional and installation-friendly manner. In this context, you will learn how to create design drawings and sketches in accordance with standards. You will also be involved in the modification design of existing components and modules. Gaining knowledge about a selection of materials and supplies during your training program is also of great importance for the practice of your future profession. The creation of technical documentation, production documents, and piece lists is also part of your exciting task area. In direct exchange with the other employees, you will learn how to present and represent the results of your work in the different areas. In the broadly based training program, as a mechatronics engineer at Felss, you will learn from the start to read complex tasks, circuit diagrams, and design drawings in order to be able to install and uninstall the components in mechatronic systems. In the process, you will build and commission electrical, pneumatic, and hydraulic control systems. You will also be responsible for the programming of mechatronic systems. Another part of this task area is the maintenance of machines and systems, so that they are guaranteed to function securely over the long term. 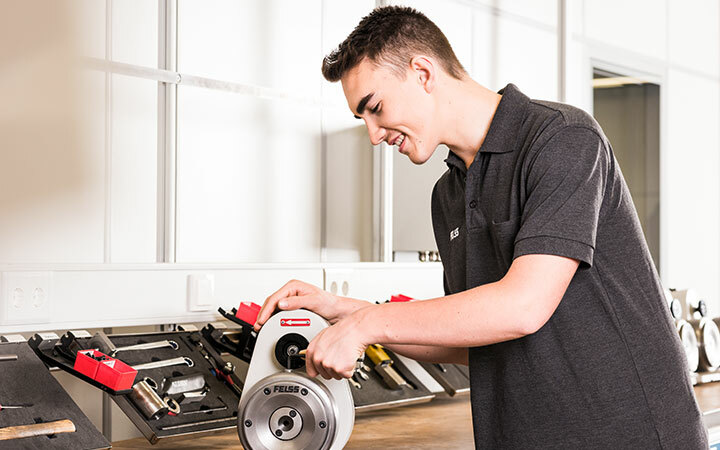 In the event of malfunctions, mechatronics engineers carry out repairs themselves in order to keep delays in work and operating processes to a minimum. In our globally established company, you have the possibility to be deployed worldwide, to provide support with installation at the customer, and to prepare the handover to the customer. We offer student employees insight into the most varied departments, both in the commercial and in the technical areas. An intensive initiation phase, an international corporate culture, and an atmosphere of solidarity characterize our student employees’ activities. Student employees at Felss can act independently and contribute their own ideas to innovation projects in cooperation with interdisciplinary teams. The continuous advancing of innovations is routine at Felss. 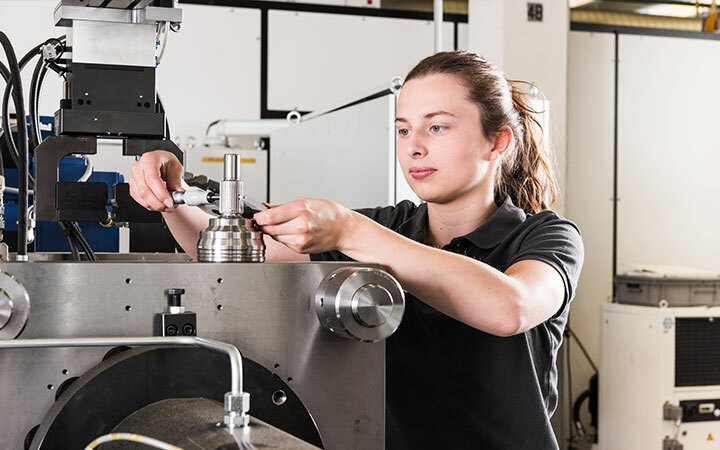 Whether it is the development of new processes, innovative machine concepts, modern personnel concepts, or our Industry 4.0 products, our student employees are an important element of this work and are always close to our innovations. In addition to many career possibilities, we also offer students company health management and many additional benefits. In addition to student employee activities, we also offer internships and final assignments. Together we formulate a theme with a direct reference to a practical application. With us, you will secure well-founded insights into exciting thematic areas of a modern mechanical engineering company and increase your chances of directly starting a job later. With us, you also have the possibility to complete a dual program of study. In the process, you can combine theory and practice and access the expertise of colleagues from around the world. In this way, you will be ideally prepared for your later career. Are you motivated, curious, and full of plans? Wonderful – so are we! At Felss, we offer you the opportunity to further develop yourself and to reach your full potential. With our Felss Academy and many continuing and advanced training opportunities, you can really get off to a good start with us and achieve big things. With us, career beginners have the opportunity to live up to their full potential and can do so in any department – be it technical, commercial, or administrative. With the Felss Academy and our House of Careers, we offer young colleagues the chance to further develop themselves both personally and professionally and to pursue a career within the Felss Group. Work today for a better tomorrow: The Felss Group already offers intelligent and sustainable solutions for customers around the globe today. Become part of our future and work together with us on our goals for tomorrow. For smart Industry 4.0 solutions, for resource-efficient machines, and environmentally-friendly processes. In short, for a world worth living in. The Felss Group is looking for motivated colleagues as experts, specialists, and supervisors who want to get started in this exciting and innovative work environment. As with the technical and engineering careers, we are also always looking for reinforcements for administration and supervisory positions, as well as for commercial professions. In addition to many benefits, we also offer you the opportunity to constantly develop yourself further, both professionally and personally. We in the Felss Group attach great importance to making sure that our employees are secure and feel at home with us. We therefore offer them many benefits like a subsidized pension plan, capital-forming benefits, and additional vacation days. And success proves us right: in 2019 we were once again distinguished by Top Job as a top employer. Our company vision is to make a contribution to creating a world more worth living in. This is why the quality of life of our employees is especially important to us as a family-friendly company. We therefore offer them flexible working hours, shallow hierarchies, and the option of working from home. The work atmosphere at Felss is also very familial and solidarity among colleagues is very good. At Felss, we work daily on sophisticated technical challenges and solutions. We therefore know how important it is for the future to invest in the qualification of our employees. With our House of Careers, we offer you a large selection of coaching, continuing and advanced training options, and team programs and seminars for employee qualification. This encourages colleagues to develop their individual strengths and gives them possibility to pursue a specialist or management career. A healthy and motivating corporate culture is very important to us here at Felss. Therefore, in the context of company health management, we have developed our own health and sports program – Felss Fit, which has more than 50 offerings annually revolving around health. We thereby offer our employees not only ergonomics at the workplace and preventive measures but also shared sports events and leisure activities, which includes affordable leasing of Felss Fit bicycles for private use. You can simply use the Felss job board to apply with us. Nothing suitable at the moment? Please feel free to send us an unsolicited application.